Hospitality specialist, Sodexo Prestige has recognised the loyalty and star quality of talented employee , Leigh Crichton. After nine years with Sodexo Prestige, Leigh has recently been rewarded with a challenging new role within the company. Leigh, who originally hails from Donaghadee in Northern Ireland, has recently been promoted to the role of Retail Operations Manager after nine seasons as Business Manager at Blair Castle, a Sodexo Prestige venue. 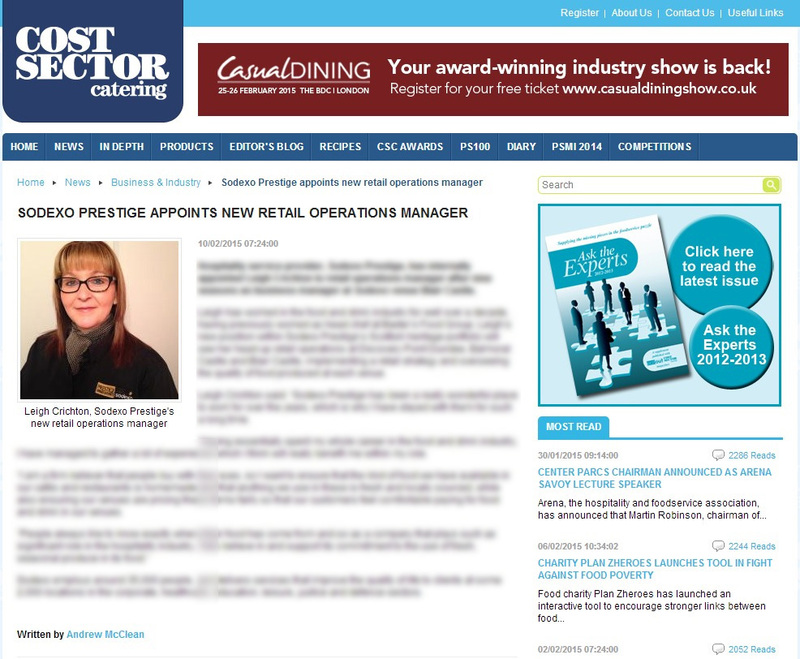 This new appointment has gained coverage from a key industry site, Cost Sector Catering and a key trade site, venues.org. 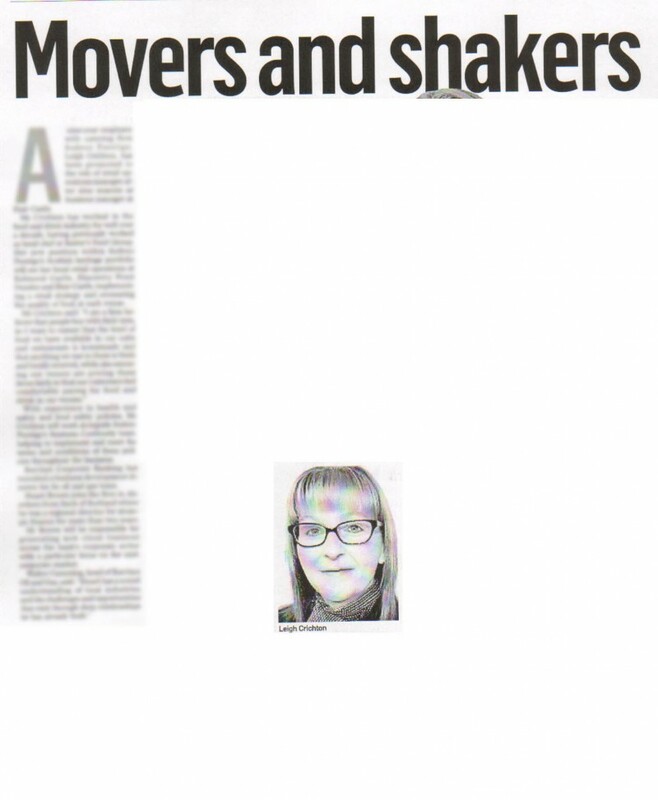 The story was also picked up in the highly circulated Aberdeen Press and Journal along with a picture of Leigh. Holyrood PR works with Sodexo Prestige Venues and Events to provide Food and Drink PR and share their many different stories with key industry press and national newspapers. 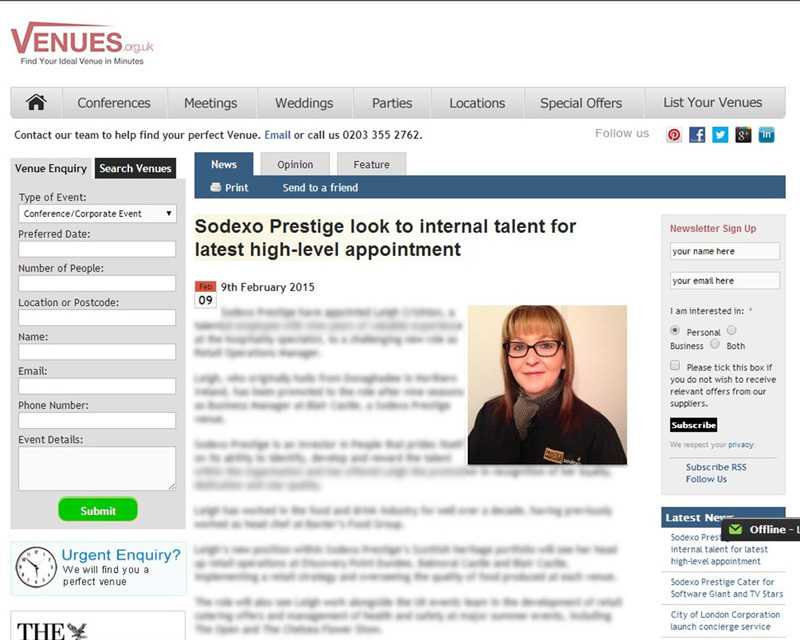 Please follow the link to see the original media release, where you can read all about Leigh’s rise through the ranks at Sodexo Prestige. For more information on food and drink pr contact us on 0131 561 2244 or fill in the simple contact us form below and we will get back to you.